3774 Glass Dr, Vestavia Hills, AL.| MLS# 831472 | Richard Jacks UABLIVING.com 205-910-2297 | Birmingham AL Real Estate | Contact us to request more information about our Homes for Sale in the Birmingham AL area. 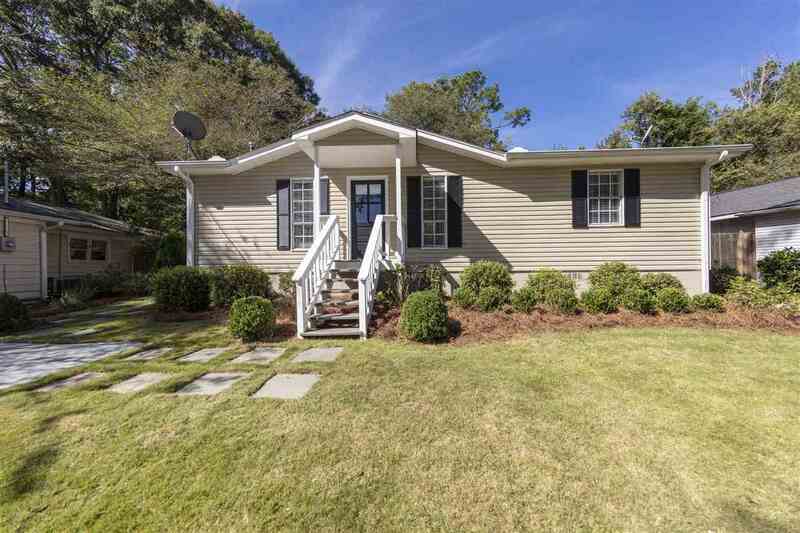 Adorable cottage located in the heart of Cahaba Heights! Located within walking distance to Publix and Magic Muffin, this lovely two bedroom/one bath home has the charm, location and price you have been searching for! Interior features include an open concept style living area complete with vaulted ceilings in the family den area. The kitchen is updated with granite counters, stainless steel appliances, and opens up into the large dining room. Two sizable bedrooms, an updated full bath and a large laundry room complete the inside living space. The backyard is perfect for entertaining and is a MUST SEE! Backyard features include a custom storage house, stone patio, a cute swing and outside lighting. This charming home will not last long! Call today to schedule your appointment! Driving Directions: From Hwy 280, Take Overton Road. Turn Left On Glass Drive. Home Will Be On The Left.